The US Federal Communications Commission has scrapped the Obama-era net neutrality rules, potentially reshaping American's online experience, and allowing internet service providers to play by their own rules. But what is net neutrality and what are the rules in Europe? Euronews takes a look. Net neutrality is the principle that Internet Service Providers (ISPs) must treat all internet data the same way. Regulations prohibit them from discriminating or charging differently by user, content, website, platforms, application, type of attached equipment, or method of communication. When internet users download content from online platforms it comes in the form of packets of data. Packets have to go through internet service providers from platforms such as Netflix and Hulu before they reach the consumer. Net neutrality means that at packets of data are delivered at the same rate, regardless of who is trying to access them. What did US regulators decide on net neutrality? 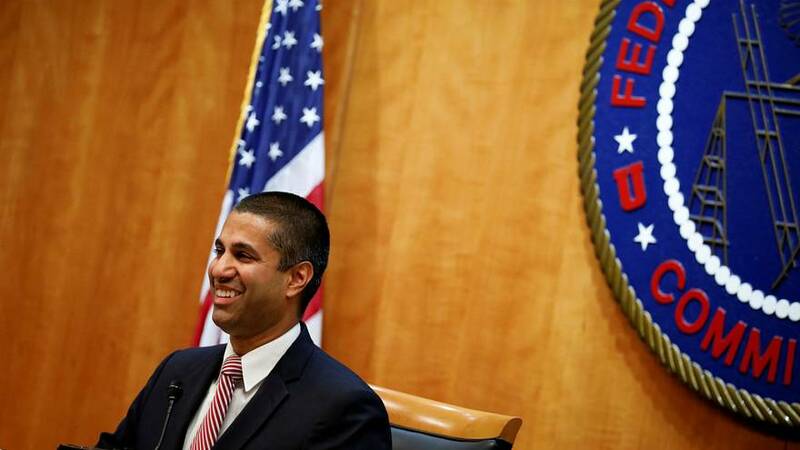 The US Federal Communications Commission (FCC) has voted to repeal net neutrality rules that regulate internet service providers and prevent them from blocking, slowing access to or charging more for certain content. The new regulation will surely affect everyone in the country. EU net neutrality standards were put in place by the Body of European Regulators for Electronic Communications (BEREC). According to BEREC’s regulation, ISPs are prohibited from blocking or slowing down internet traffic except when necessary. The exceptions are limited to traffic management to comply with a legal order, ensure network security, or manage congestion. The law seeks to protect the user’s right to “be free to access and distribute information and content, run applications and use services of their choice” so people can use their favourite apps and services no matter the internet offer they subscribe to.